The karambit knife is a formidable and elegant weapon from Southeast Asia that, according to legend, is based on the razor-sharp claws of the mighty Sumatran tiger. This weapon is made even more striking by the Damascus Karambit Knife. This fierce weapon is made from Damascus steel, giving its blade high durability while also making it very visually appealing. Its horn hilt is slightly curved for ease of grip, and the back of the handle features a finger ring, for moments where stability or security are needed. 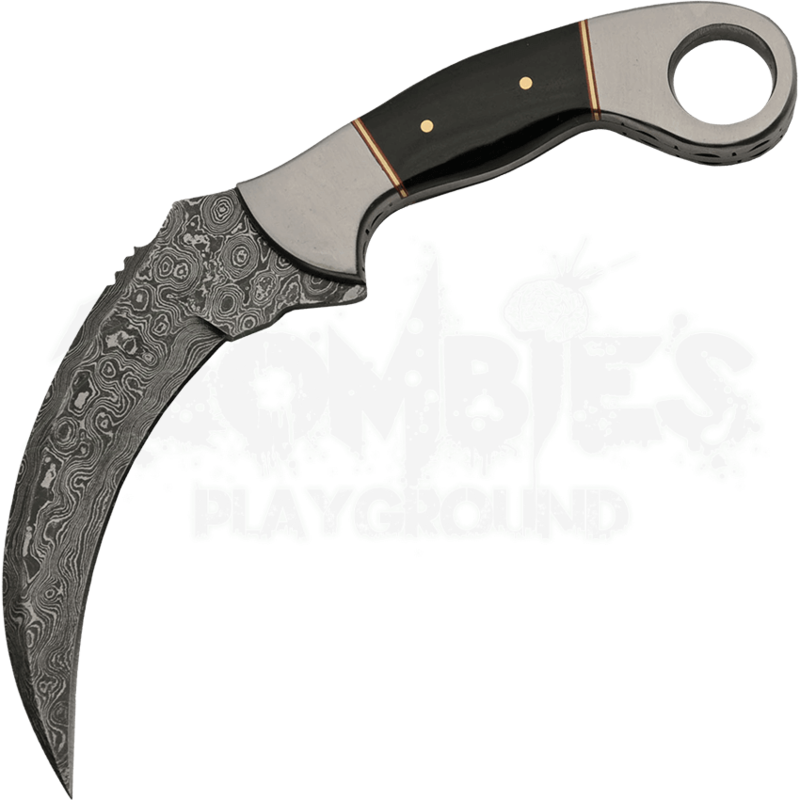 The Damascus Karambit Knife comes with a black leather sheath for easy storage and transport, making it an ideal self-defense or combat weapon.